A Thanksgiving get-together with relatives can be a bit stressful. Due, mainly, to those darned relatives. Well, here’s an idea. Rather than talk politics, why not share some fun stories? Heck, even if you enjoy seeing your relatives on Thanksgiving, fun stories can make the good times even better. You know I’m a huge history buff. So let me share some Thanksgiving history with you. And you can share it with your relatives. That was in 1621. Fifty Pilgrims invited 90 Wampanoag natives over for three days of “giving thanks.” The Pilgrims originally meant it to be a three-day fast, but the Wampanoags weren’t having any of that. They wanted their harvest tradition, which was a feast. Only five women were present, so it’s really a shame TV and football weren’t invented yet. You know what also wasn’t invented yet? Serving turkey at Thanksgiving. Instead, vittles featured (probably) venison, duck and goose on the turf side of the menu. On the surf side, they served up oysters, lobster, eel and fish. Mmm-mm! You know how I love Grandma’s Thanksgiving eel! Also, there were no forks. Forks weren’t introduced to the New World until 10 years later. Instead, people at the first Thanksgiving ate with knives and spoons. Or being mostly men and boys, maybe they just ate with their hands, amirite? We’re going to fast-forward from 1621 to 1777. That’s the first time all 13 colonies (they became states in 1787) celebrated Thanksgiving at once. Now, not everyone was in favor of this. Thomas Jefferson thought a holiday for Thanksgiving was “the most ridiculous idea” ever conceived. But thanks to the efforts of Ben Franklin, who lobbied hard for a national day of Thanksgiving, Jefferson was overruled, and George Washington hailed the holiday. Speaking of Franklin, he was obsessed with turkeys. Along with pushing turkeys onto the Thanksgiving menu, he also tried to have the turkey named the national bird, due to what he called the “bad moral habits of eagles.” (You can read his argument here). It’s also said that Benjamin Franklin named the male turkey “Tom” to tweak the nose of highfalutin Thomas Jefferson. But despite Franklin’s efforts, Thanksgiving still wasn’t a federal holiday. That had to wait until 1863 — some 200 years after the first Thanksgiving. That’s when Sarah Joseph Hale — who also gained fame for writing the classic nursery rhyme “Mary Had a Little Lamb” — successfully petitioned President Abraham Lincoln to make it a federal holiday. It was the culmination of Sarah’s 17-year-long letter-writing campaign. So, maybe Lincoln made Thanksgiving an official holiday just to shut her up. Man, that woman had real persistence and she could rhyme? If only rap was invented earlier! 4. Why is a Turkey a “Turkey”? Turkeys are native to North America and Mexico. So why are they called turkeys, anyway? Well, at the time America was “discovered” by Europeans — a surprise to the people already living here, but that’s another story — Europeans enjoyed eating guineafowl. That’s a bird from Africa that looks kinda-sorta like a wild turkey. If you squint and are drunk. Which were two popular pastimes in days of yore. Hey, what do they call a turkey in Turkey, anyway? There, it’s called a “hindi,” as shorthand for India. Why India? Because when someone finally shipped turkeys to Turkey, the story got garbled along the way and they thought it came from India. And it’s too late to change it now, apparently. America’s plumbers. That’s because Thanksgiving and the day after Thanksgiving see a huge jump in the number of calls to plumbers to sort out emergencies. These fall into two categories. Toilet issues. Don’t let your mind run to something gross. I’m talking about the fact that many people think it’s “smart” to dump leftover Thanksgiving food down the toilet. The fact is, toilet paper and biological waste dissolve quickly. Almost anything else sticks around in your sewer pipe. And a blockage in your sewer line can force raw sewage to seep from every drain in your house. Garbage disposal issues. Many Americans seem blissfully unaware of this. But unless you upgraded to an industrial disposal, there are limits to your home garbage disposal’s abilities. Bones in particular. Turkey bones may look soft — they aren’t. Turkey and any other animal bones are 100% above your garbage disposal’s pay grade. Try your luck on bones and you risk clogging the disposal. So, many plumbers get a “two-for” call from frantic customers. Customers who clogged their disposal, then tried to flush food waste down the toilet. Yech! And that’s why plumbers are so thankful on Thanksgiving. There you go. Five fun stories to share on Thanksgiving. May you have much to be thankful for, in 2018 and the year ahead. 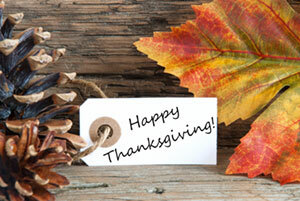 I am thankful to count you as a member of our Wealth Wave family. Have a wonderful holiday weekend, and I will return with my next column this coming Tuesday, Nov. 27. P.S. What are you most thankful for today? If you have a moment in between the big meal and the big games, send me a note and let me know in the comments section here. Thanks for the stories. A little humor is always good. 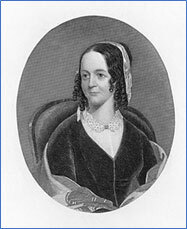 Sarah Hale’s middle is Josepha. I am thankful to still be alive. On January 17, 1969 about 35 miles north and a little west of Saigon my unit was ambushed. During the course of the firefight I stepped on a land mine, lost part of one leg and the other one badly damaged. But by the grace of God I survived. Just thankful to still be here.